Truth by Kbaig: Internal Situation of Bangladesh and Blames on Pakistan! Internal Situation of Bangladesh and Blames on Pakistan! 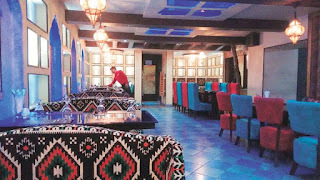 On the night of 01 July 2016, at about 7:40 pm terrorists attacked famous restaurant “Holey Artisan Bakery” of Dhaka’s diplomatic area. At the time of terrorist attack there were approximately 30 persons (mostly foreigners) present in the said restaurant. The news was broke by the international media. Pakistani TV channels like other TV channels continued their regular telecast covering the reports through tickers. However, CNN stopped its routine telecast and gave full coverage to the Dhaka attacks. This was astonishing. Whole night ex US diplomats, defense analysts and authors having expertise over analyses of terrorism were invited to give their analyses. The Mumbai attacks of 2008 were also hot topic of the discussion. CNN was repeating same question again and again that if Bangladesh is a secular country then how Islamic extremists reached Dhaka. This was a strange question. In the meanwhile Indian NDTV broke the news in connection with Gohar Rizvi, advisor Haseena Wajid that ISI is involved in these attacks. Hassan Taufiq, advisor of Bangladeshi Prime Minister also verified the statement of Bangladeshi Foreign Ministry that ISI is supporting Jamaat ul Al-Mujahideen to sabotage the govt. of Haseena Wajid. Such statement was only to defame Pakistan. The govt. of Haseena Wajid in Bangladesh is based upon her hatred against Pakistan and Islam, supported by India as well. 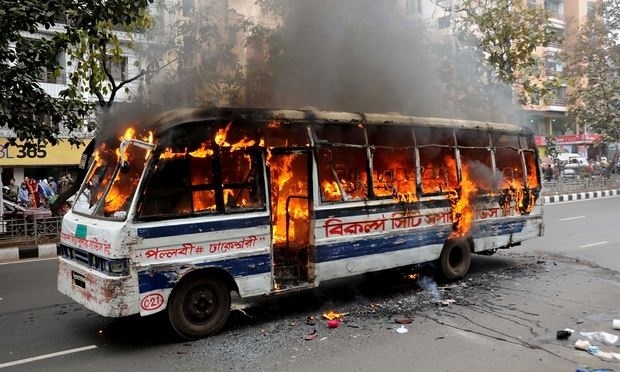 Now lets come towards the point which will help us to understand situation in Bangladesh. On 26th April 2006, Ajit Kumar Doval, Chief of Indian secret agency gave a detailed interview to the Sheela Bhatt, representative Indian online news agency REDIFF.COM. Ajit Kumar was concerned about international congregation of Tableeghi Jamaat in 2001 at Dhaka. He was of the view that this is the largest congregation of Muslims after Hajj in which approximately 4 million Muslims participated from all over the world. Many Muslims from India participated in this congrgation as well without any visa or passport. The speeches made in the congregation showed as it was arranged only to condemn India. Famous politicians, ministers, Prime Minister, Army Chief and Chief Justice of Supreme Court also participated in this congregation. Doval also disclosed that approximately 20 million Bangladeshis are living in India illegally while Bangladeshi govt. is not ready to accept them. These Bangladeshis move across the border without any restrictions which is a big threat to India. 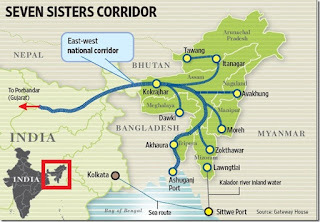 Pakistani ISI cannot infiltrate two persons from Bangladesh into India but utilizing these Bangladeshis, ISI can easily infiltrate thousands of agents. 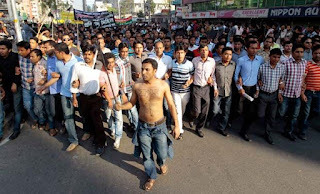 The only answer to this situation is to stop ISI from building its stronghold in Bangladesh. After knowing the thoughts of Doval about Bangladesh lets come towards the situation of the Bangladesh that how Haseena Wajid established so called War Tribunal in connection with 1971 war and hanged elderly leaders of Jamaat Islami without giving them chance to fair trial. Exploiting the Islam phobia in the light of 9/11, Haseena Wajid not only hanged activists of Jamaat Islami but also activists of opposing political parties as well. She tried to suppress all voices that might threaten her reign. 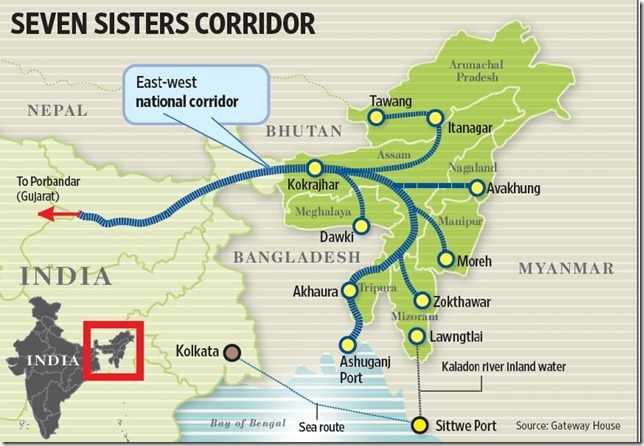 India wanted control over Bangladesh and Haseena Wajid wanted being in power forever. 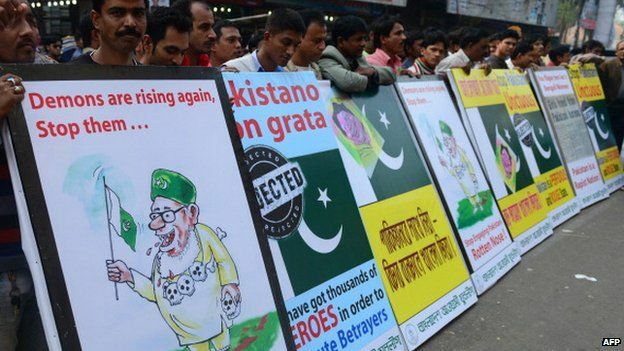 India declared Islam in Bangladesh as threat o India and Islamists as agents of ISI. In order to prolong her reign, Haseena Wajid provided ground access through Bangladesh to seven states of India for which India was struggling since 1947 but even Mujeeb did not grant it to India. 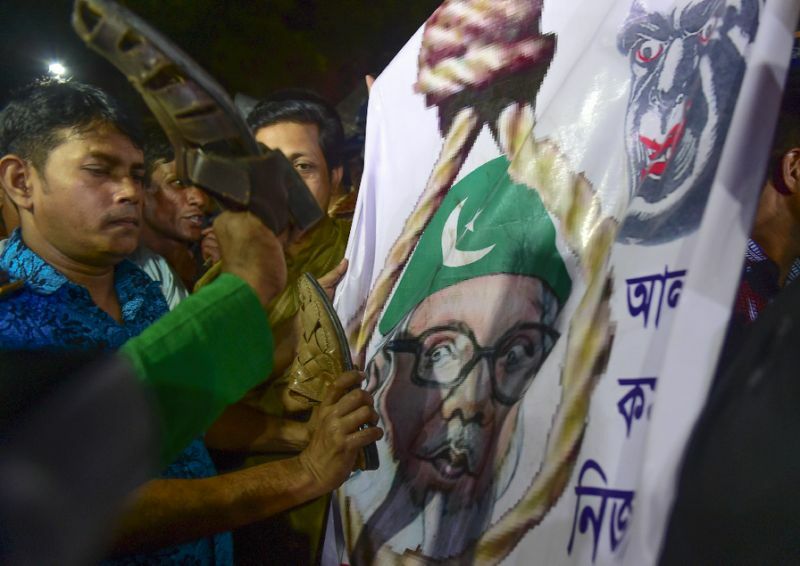 According to Amnesty International hundreds of activists of political parties that oppose Haseena Wajid has been put behind the bars and have been sentenced to death besides Jamaat Islami leaders. Haseena Wajid wants uni-party system in Bangladesh for which she is fueling hatred against Pakistan and Islam. She has forgotten that foundation of Two Nations Theory and Struggle for Pakistan was laid in Bangladesh.